Hi there! I guess you have heard, last year, of the discovery of rings around the Trans-Neptunian Object Haumea. If not, don’t worry, I speak about it. Rings around planets are known since the discovery of Saturn (in fact a little later, since we needed to understand that these were rings), and now we know that there are rings around the 4 giant planets, and some small objects, which orbit beyond Saturn. Once such a ring is discovered, we should wonder about its origin, its lifetime, its properties… This is the opportunity for me to present a Hungarian study, Dynamics of Haumea’s dust ring, by T. Kovács and Zs. Regály. This study has recently been accepted for publication in The Monthly Notices of the Royal Astronomical Society. The discovery of (136108) Haumea was announced in July 2005 by a Spanish team, led by José Luis Ortiz, observing from Sierra Nevada Observatory (Spain). This discovery was made after analysis of observations taken in March 2003. As a consequence, this new object received the provisional name 2003 EL61. But meanwhile, this object was observed since several months by the American team of Michael Brown, from Cerro Tololo Inter-American Observatory, in Chile, who also observed Eris. This led to a controversy. Eventually, the Minor Planet Center, which depends on the International Astronomical Union, credited Ortiz’s team for the discovery of the object, since they were the first to announce it. However its final name, Haumea, has been proposed by the American team, while usually the final name is chosen by the discoverer. Haumea is the goddess of fertility and childbirth in Hawaiian mythology. The Spanish team wished to name it Ataecina, after a popular goddess worshipped by the ancient inhabitants of the Iberian Peninsula. Reanalysis of past observations revealed the presence of Haumea on photographic plates taken in 1955 at Palomar Observatory (we call that a precovery). You can find below some numbers regarding Haumea. As a massive Trans-Neptunian Object, i.e. massive enough to have a pretty spherical shape, it is classified as an ice dwarf, or plutoid. This shape is pretty regular, but not that spherical actually. As you can see from its 3 diameters (here I give the most recent numbers), this is a triaxial object, with a pretty elongated shape… and this will be important for the study. It orbits in the 7:12 mean-motion resonance with Neptune, i.e. it performs exactly 7 revolutions around the Sun while Neptune makes 12. This is a 5th order resonance, i.e. a pretty weak one, but which anyway permits some stability of the objects, which are trapped inside. This is why we can find some! We can also see that it has a rapid rotation (less then 4 hours!). Moreover, it is pretty bright, with a geometrical albedo close to 0.8. This probably reveals water ice at its surface. And Haumea has two satellites, and even rings! Haumea has two known satellites, Namaka and Hi’iaka, named after two daughters of the goddess Haumea. They were discovered by the team of Michael Brown in 2005, simultaneously with its observations of Haumea, i.e. before the announcement of its discovery. You can find below some of their characteristics. Usually such systems are expected to present spin-orbit resonances, e.g. like our Moon which rotates synchronously with the Earth. Another example is Pluto-Charon, which is doubly synchronous: Pluto and Charon have the same spin (rotational) period, which is also the orbital period of Charon around Pluto. Here, we see nothing alike. The rotational period of Haumea is 4 hours, while its satellites orbit much slower. We do not dispose of enough data to determine their rotation periods, maybe they are synchronous, i.e. with spin periods of 18.28 and 49.46 days, respectively… maybe they are not. This synchronous state is reached after tidal dissipation slowed the rotation enough. Future measurements of the rotation of the two satellites could tell us something on the age of this ternary system. And last year, an international team led by José Luis Ortiz (the same one) announced the discovery of a ring around Haumea. 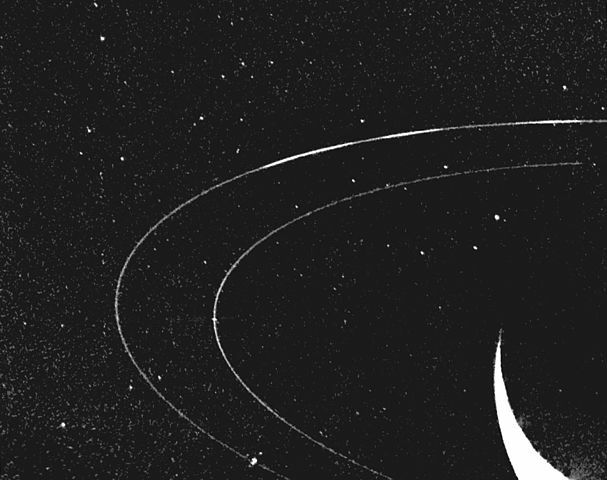 should I introduce the rings of Saturn? the rings of Neptune were discovered in 1984, before being imaged by Voyager 2 in 1989. Interestingly, one of these rings, the Adams ring, contains arcs, i.e. zones in which the ring is denser. These arcs seem to be very stable, and this stability is not fully understood by now. observations in 2015 are consistent with ring material around the Centaur Chiron, but the results are not that conclusive. These last discoveries were made thanks to stellar occultations: the object should occult a star, then several teams observe it from several locations. While the planetary object is too faint to be observed from Earth with classical telescopes, the stars can be observed. If at some point no light from the star is being recorded while the sky is clear, this means that it is occulted. And the spatial and temporal distributions of the recorded occultations give clues on the shape of the body, and even on the rings when present. Why rings around dwarf planets? Rings around giant planets orbit inside the Roche limit. Below this limit, a planetary object cannot accrete, because the intense gravitational field of the giant planet nearby would induce too much tidal stress, and prevent the accretion. But how can we understand rings around dwarf planets? Chiron presents some cometary activity, so the rings, if they exist, could be constituted of this ejected material. But understanding the behavior of dust around such a small object is challenging (partly because it is a new challenge). In 2015, the American planetologist Matthew Hedman noticed that dense planetary rings had been only found between 8 and 20 AU, and proposed that the temperature of water ice in that area, which is close to 70 K (-203°C, -333°F), made it very weak and likely to produce rings. In other words, rings would be favored by the properties of the material. I find this explanation particularly interesting, since no ring system has been discovered in the Asteroid Main Belt. That paper was published before the discovery of rings around Haumea, which is far below the limit of 20 UA. I wonder how the Haumea case would affect these theoretical results. In the specific case of Haumea, the ring has a width of 70 kilometers and a radius of about 2,287 kilometers, which makes it close to the 3:1 ground-track resonance, i.e. the particles constituting the ring make one revolution around Haumea, while Haumea makes 3 rotations. Let us now focus of our study. The authors aimed at understanding the dynamics and stability of the discovered rings around Haumea. For that, they took different particles, initially on circular orbits around Haumea, at different distances, and propagated their motions. Propagating their motions consists in using a numerical integrator, which simulates the motion in the future. There are powerful numerical tools which perform this task reliably and efficiently. These tools are classified following their algorithm and order. The order is the magnitude of the approximation, which is made at each timestep. 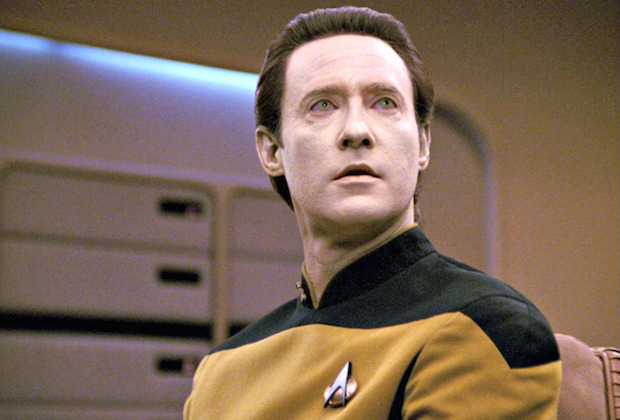 A high order means a highly accurate simulation. Here, the authors used a fourth order Runge-Kutta scheme. It is not uncommon to see higher-order tools (orders between 8 and 15) in such studies. The motions are propagated over 1 to 1,000 years. This last force is not a gravitational, but a thermal one. It is due to an exchange of angular momentum between the particle, and the electromagnetic field, which is due to the Solar radiation. For a given particle size, the Solar radiation pressure has pretty the same magnitude for all of the particles, while the gravitational field of Haumea decreases with the distance. As a consequence, the furthest particles are the most sensitive to the radiation pressure. Moreover, this influence is inversely proportional to the grain size, i.e. small particles are more affected than the large ones. The numerical simulations show that the smaller the grains size, the narrower the final ring structure. The reason is that smaller particles will be ejected by the radiation pressure, unless they are close enough to Haumea, where its gravity field dominates. And this is where you should compare the simulations with the observations. 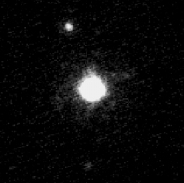 The observations tell you that the ring system of Haumea is narrow, this would be consistent with an excess of particles with grain size of approximately 1 μm. So, such a study may constrain the composition of the rings, and may help us to understand its origin. Another explanation could be that there was originally no particle that far, but in that case you should explain why. Let us say that we have an argument for a ring essentially made of small particles. You can find the study here. The authors also made it freely available on arXiv, many thanks to them for sharing! and the one of Zsolt Regály. Hi there! Today, let us talk about the environment of a comet. As you know, a comet is an active body, which emits ionized particles and dust. The Sun itself emits charged particles, which constitute the Solar wind. We discuss today of the interaction between these two emissions. The environment of charged particles around a comet has been measured by the spacecraft Rosetta, and this has motivated modeling these interactions. I present you Solar wind dynamics around a comet: The paradigmatic inverse-square-law model, by M. Saillenfest, B. Tabone, and E. Behar. This study has recently been accepted for publication in Astronomy and Astrophysics. Let us first speak about the mission Rosetta. Rosetta was a European mission, which orbited the comet 67P/Churyumov–Gerasimenko between 2014 and 2016. It was named after the Rosetta Stone, which permitted the decipherment of Egyptian hieroglyphs. The mission Rosetta was supposed to give us clues on the primordial Solar System, i.e. on our origins, from the study of a comet. It was launched in March 2004 from Kourou (French Guiana), and then started a 10-years journey, during which it made 3 fly-bys of the Earth and one of Mars. You can say: “why going back to Earth?” The reason is that Rosetta was supposed to orbit 67P/Churyumov–Gerasimenko (spoiler alert: it did it). For this orbital insertion to be possible, it had to arrive slowly enough… but also had to leave Earth fast enough, to get rid off its attraction, and also to shorten the journey. Fly-bys permitted to slow the spacecraft in exchanging energy with the Earth (or Mars). Rosetta also visited two asteroids: (2867) Šteins, and (21) Lutetia, in September 2008 and July 2010, respectively. It was inserted into orbit around 67P in August 2014, released the lander Philae in November, and the mission ended in September 2016. In particular, Rosetta was present when 67P reached its perihelion in August 2015. At this point, the comet was at its closest distance to the Sun (1.25 astronomical unit, while its mean distance is almost thrice this number), where the cometary activity is maximal. So, Rosetta consisted of two modules: the orbiter itself, and the lander Philae. The orbiter had 11 instruments on board, and the lander 10. These instruments permitted, inter alia, to map the comet and measure its geometry, to constrain its internal structure and its chemistry, and to characterize its environment. This environment is strongly affected by the Solar wind, especially in the vicinity of the perihelion, but not only. The Solar corona emits a stream of charges particles, which is mainly composed of electrons, protons, and alpha particles (kind of charged helium). This emission is called Solar wind. It is so energetic, that the emitted particles go far beyond the orbit of Pluto, constituting the heliosphere. The heliosphere has the shape of a bubble, and its boundary is called the heliopause. Voyager 1 crossed it in August 2012, at a distance of 121 AU of the Sun. At the heliopause, the pressure of the Solar wind is weak enough, to be balanced by the one of the interstellar medium, i.e. the winds from the surrounding stars. Hence, Voyager 1 is in this interstellar space, but technically still in the Solar System, as under the gravitational attraction of the Sun. Anyway, our comet 67P/Churyumov-Gerasimenko is much closer than that, and has to deal with the Solar wind. Let us see how. Imagine you are on the comet, and you look at the Sun… which should make you blind. From that direction comes a stream of these charged particles (the Solar wind), and you can consider that their trajectories are parallel if far enough from the comet. Of course, the Sun does not emit on parallel trajectories, i.e. the trajectories of all these particles converge to the Sun. But from the comet, the incident particles appear to arrive on parallel trajectories. While a charged particle approaches the comet, it tends to be deflected. Here, the dominating effect is not the gravitation, but the Lorentz force, i.e. the electromagnetic force. This force is proportional to the electric charge of the particle, and also involves its velocity, and the electric and magnetic fields of the comet. The authors showed in a previous paper that the trajectories of the charged particles could be conveniently described in assuming that the magnetic field obeys an inverse-square law, i.e. its amplitude decreases with the square of the distance to the comet. If you are twice further from the comet, then the magnetic field is four times weaker. I do not mean that the magnetic field indeed obeys this law. It is in fact more complex. I just mean that if you model it with such an ideal law, you are accurate enough to study the trajectories of the Solar wind particles. And this is what the authors did. By the way, the authors suggest that any magnetic field following an inverse-power law could work. Of course, the numbers would have been different, but the global picture of the trajectories would be pretty much the same. It seems, at this time, too challenging to determine which of these models is the most accurate one. The authors used analytical calculations, i.e. maths, which are in fact close to the classical ones, you make to show that the gravitation results in elliptic, parabolic, or hyperbolic, trajectories. A wonderful tool assisting such studies is the First Integrals. A First Integral is a quantity, which remains constant all along a trajectory. For instance, in a gravitational problem where no energy is dissipated, then the total energy (kinetic + potential energies) is conserved. This is a First Integral. Another First Integral in that problem is the norm of the total angular momentum. And the existence of these two quantities helps to understand the shape of the possible orbits. The authors showed that this is quite similar here. Even if the equations are slightly different (anyway the inverse-square law is a similarity), they showed that the problems has 2 First Integrals. And from these 2 First Integrals, they showed that knowing only 2 parameters is in fact enough to characterize the trajectories of the Solar wind particles. These two parameters are called rC and rE, they have the physical dimension of a distance, and are functions of all the parameters of the problems. rE characterizes the stream, it is related to its velocity, while rC characterizes a given particle. If you know just these 2 parameters, then you can determine the trajectory. The authors give a detailed description of the trajectories. To make things simple: either the particles orbit the comet, or they just pass by. But anyway, there is an empty space around the comet, i.e. a spherical cavity in which no Solar wind particle enters. The journey of Rosetta around 67P crossed the boundary of this empty cavity. In other words, we have measurements of the density of charged particles at different distances from the comet, and also for different distances from the Sun, since the orbital phase of the mission lasted 2 years, during which 67P orbited the Sun. The authors promise us that a study of the comparison between the model and the in situ measurements, i.e. the observations, is to come. We stay tuned! You can find the study here. The authors also made it free available on arXiv, many thanks to them for sharing! and the one of Etienne Behar. Hi there! Of course, you know the planet Mars. You can here from it these days, since it is exceptionally close to our Earth. Don’t worry, this is a natural, geometrical phenomenon. Anyway, it is a good time to observe it. But I will not speak of observing it, today. We will discuss its formation instead, because the issue of the formation of Mars remains a challenge. This is the opportunity to present The curious case of Mars’ formation, by James Man Yin Woo, Ramon Brasser, Soko Matsumura, Stephen J. Mojzsis, and Shigeru Ida. Astronomy and Astrophysics will publish it pretty soon. The following table gives you comparative characteristics of Venus, the Earth, and Mars. The last line reveals a problem: Venus and the Earth are about the same size, while Mars is much smaller! But this is not the only problem: the compositions of the Earth and Mars are VERY different. It is pretty easy to know the composition of the Earth: you just analyze samples. And for Mars? Just the same! Interestingly, there are Martian meteorites on Earth. These are ejecta from impacts, which were ejected from Mars, and then traveled in the Solar System, until reaching our Earth. C for Chassignites, after the Chassigny meteorite (France, 1815). Such a significant number of similar meteorites, which are that different from the other ones, suggests they come from a large body. Mars is an obvious candidate, which has been confirmed after the discovery that trapped gases in these meteorites are very similar to the ones, which are present in the atmosphere of Mars. 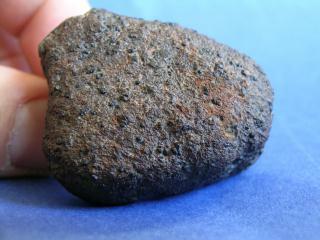 The Martian meteorite NWA (Northwest Africa) 2046, found in September 2003 in Algeria. This is a Shergottite. © Michael Farmer and Jim Strope. After that, the numerous space missions improved our knowledge of the Martian composition. And it finally appeared that both planets are essentially made of chondritic material. The Earth should accrete about 70% of enstatite chondrite (and same for the Moon), while Mars only about 50%. Chondrites are non-metallic meteorites, the enstatite chondrites being rich in the mineral enstatite (MgSiO3). These numbers are derived from the documented isotopic compositions of the Earth and Mars, i.e. the ratio of the different chemical elements. An isotope is a variant of a particular chemical element, which differs in neutron number. If you want to convincingly simulate the formation of Mars, the product of your simulations should be similar to Mars in mass AND in composition. And this is very challenging. Let us see why, but first of all let us recall how to form planets from a disk. At its early stage, a planetary system is composed of a proto-star, and a pretty flat disk, made of gas and dust. Then the dust accretes into clumps, which then collides to form planetary embryos, i.e. proto-planets. These embryos continue to grow with collisions, until forming the current planets. Meanwhile, the gas has dissipated. Anyway, interactions between the protoplanets and between them and the gas can lead to planetary migration. This means that we cannot be sure whether the planets we know formed close to their current location. This makes room for several scenarios. The obvious starting point is to assume that the planets formed close to their current locations. This so-called Classical model works pretty well for Venus, the Earth, Jupiter, Saturn… but not for Mars. The resulting Mars is too massive. An idea for by-passing this problem is to start with a depletion of material at the location of Mars. This is equivalent to an excess inside the terrestrial orbit. In such a configuration, less material is available to the proto-Mars, which eventually has a mass, which is close to the present one. You can get this excess of material inside the terrestrial orbit if you buy the Grand Tack scenario: when Jupiter formed, it created a gap in the inner disk, and the mutual interaction resulted in an inward migration of Jupiter, until reaching the present orbit of Mars. In moving inward (Type II migration), Jupiter pushed the material inward. Then, a 3:2 mean-motion resonance with Saturn occurred, which created another gap, and made Jupiter move outward, until its present location. This way, you can form a planetary object, which is similar to Mars in mass and location. But what about its composition? This is still a challenge. 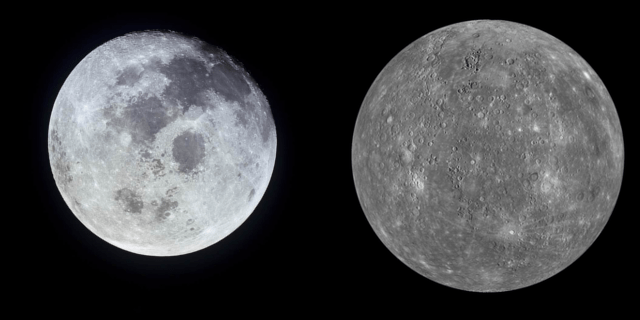 The composition of a planetary object is strongly affected by the one of the disk, where the object formed… which may not be its present location. The authors added a free parameter to the model: the break location, which would split the protoplanetary disk into an inner and an outer region. The inner region would be rich in enstatite chondrites, while the outer one would be rich in ordinary chondrites. A break location at 1.3 AU gives the best fit for the difference of composition between Mars and the Earth, for both formation scenarios (Classical and Grand Tack). So, the Grand Tack with a break location at 1.3 AU could be the right scenario. But another possibility exists: the Classical scenario says that if Mars formed where it is, then it should be heavier. But what if Mars formed actually further from the Sun, and then migrated inward? Then, it would not need any depletion of material to have the right mass. And the break barrier should have been further than 1.3 AU. But you have to explain why it migrated inward. One of the good things with scenarios of formation is that thr gives more details on the outcomes, than actually observed. For instance, this study predicts the isotopic composition of 17O, 50Ti, 54Cr, 142Nd, 64Ni and 92Mo, in the Martian mantle. Further data, collected by space missions, will give additional constraints on these parameters, and test the validity of the present study. 8 missions are currently operational in orbit or on Mars, and InSight is en-route, after having been launched in May 2018. It should land on Mars on November 26, and will study its interior with a seismometer, and a heat transfer probe. You can find the study here. The authors also uploaded it on arXiv, so that you can get it for free. Many thanks to them for sharing! and the one of Shigeru Ida.